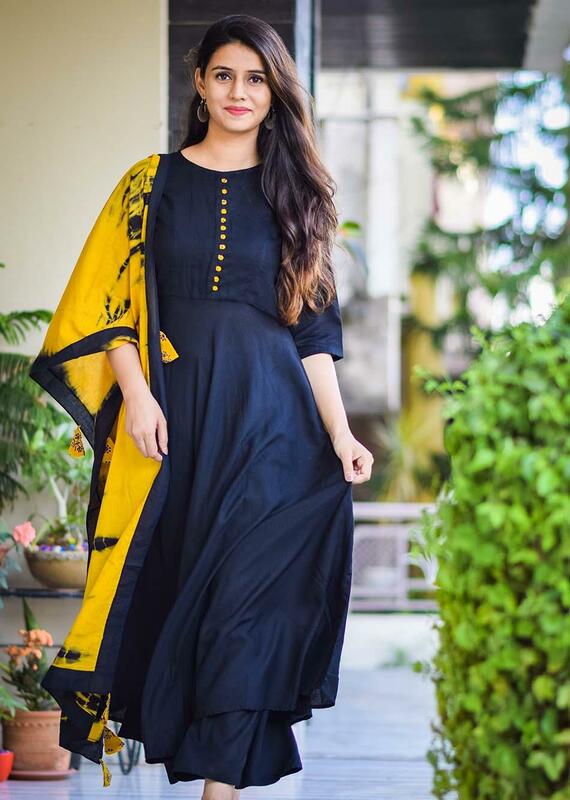 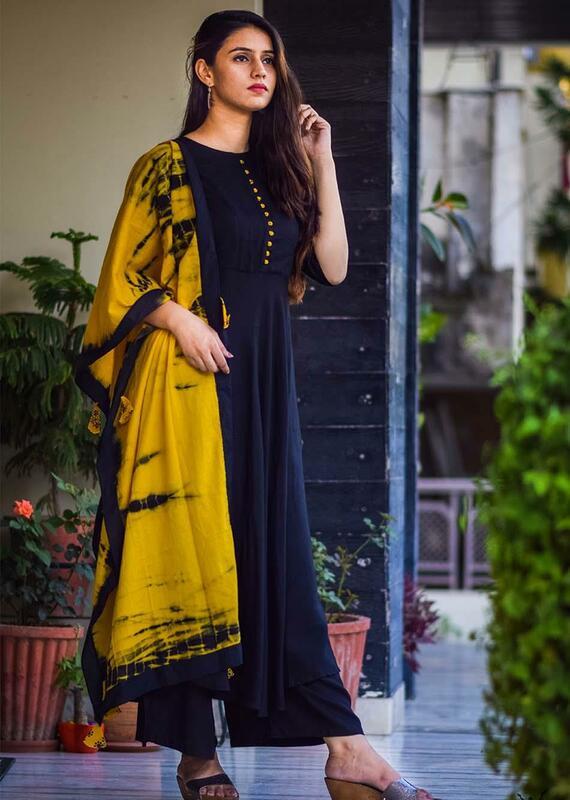 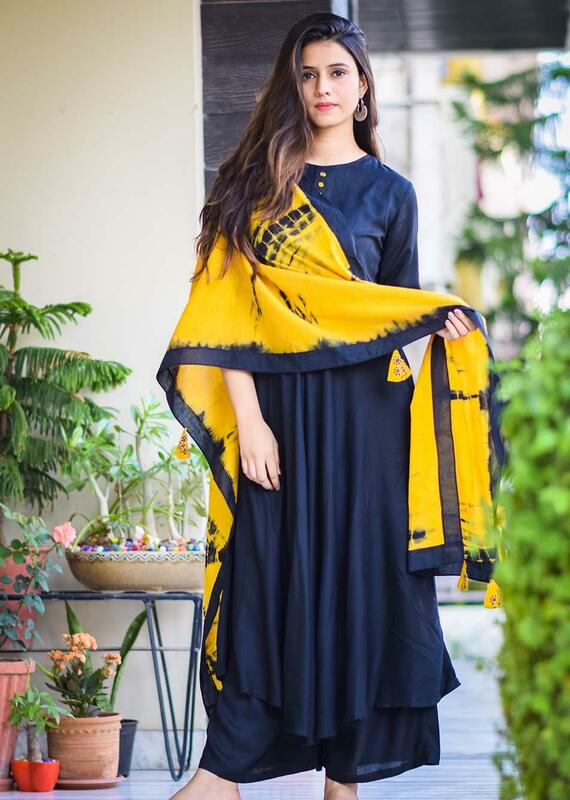 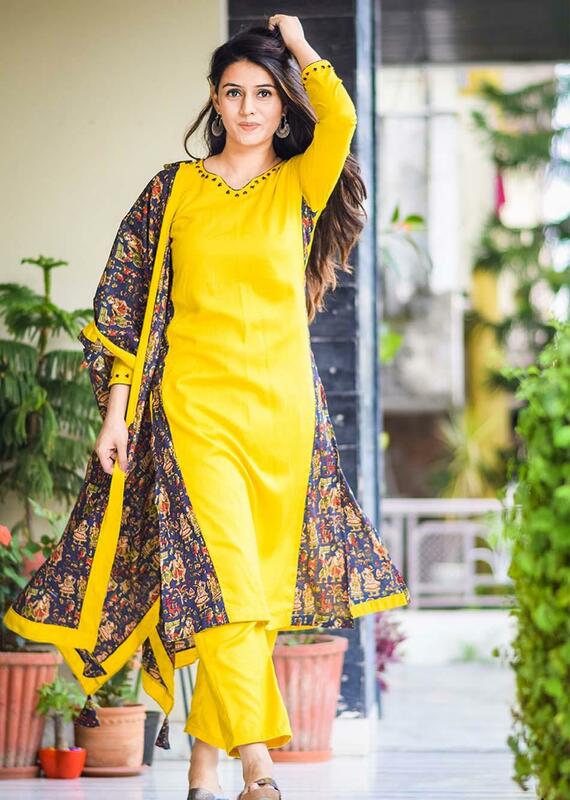 Following the monotone, black for kurta and palazzo and contrasting it with subtle mustard yellow dupatta, this set of kurta, palazzo, and dupatta is genuinely alluring. 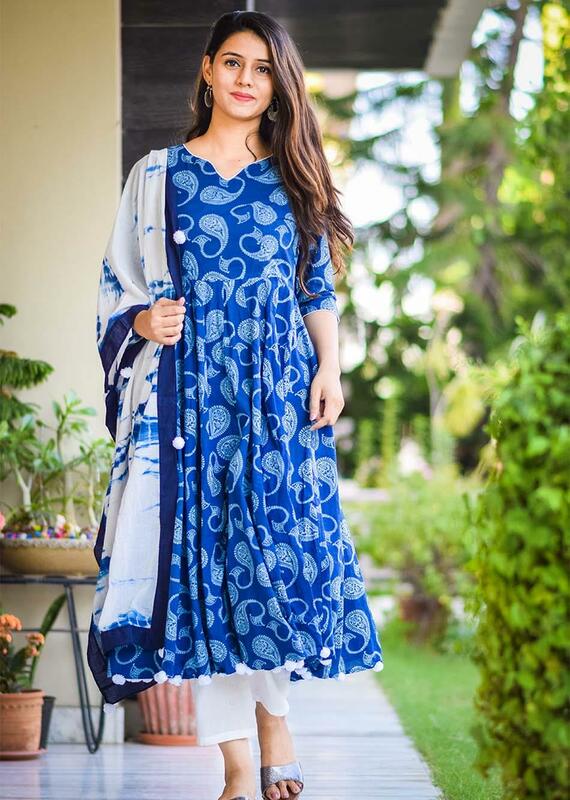 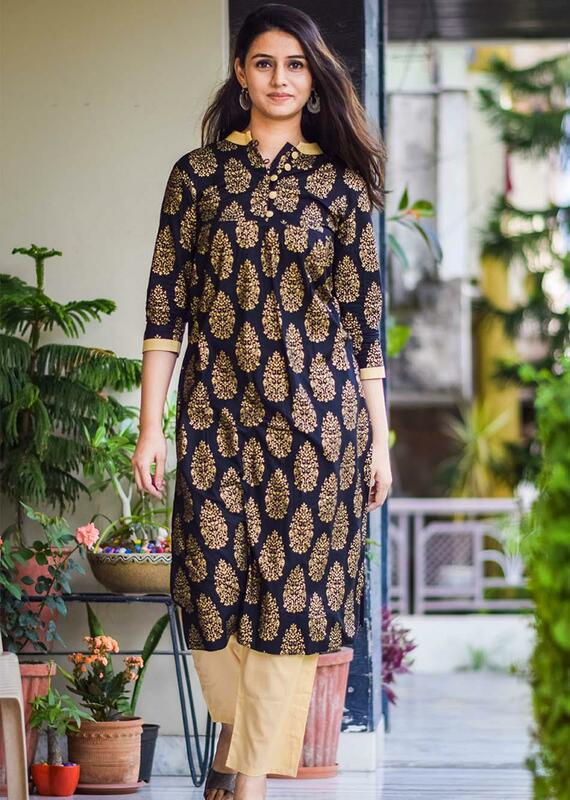 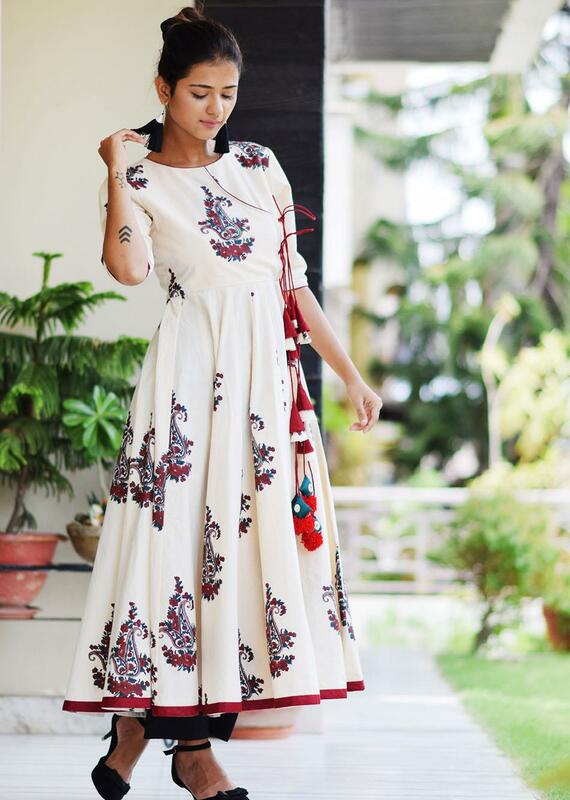 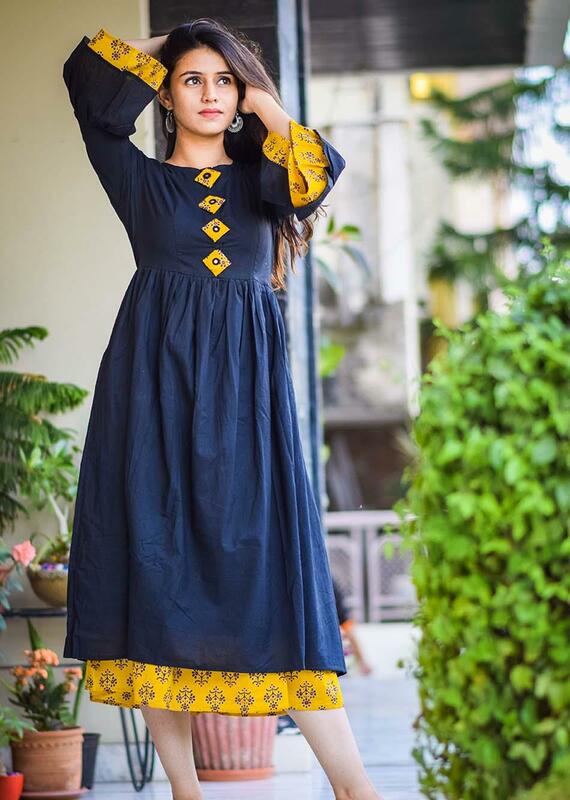 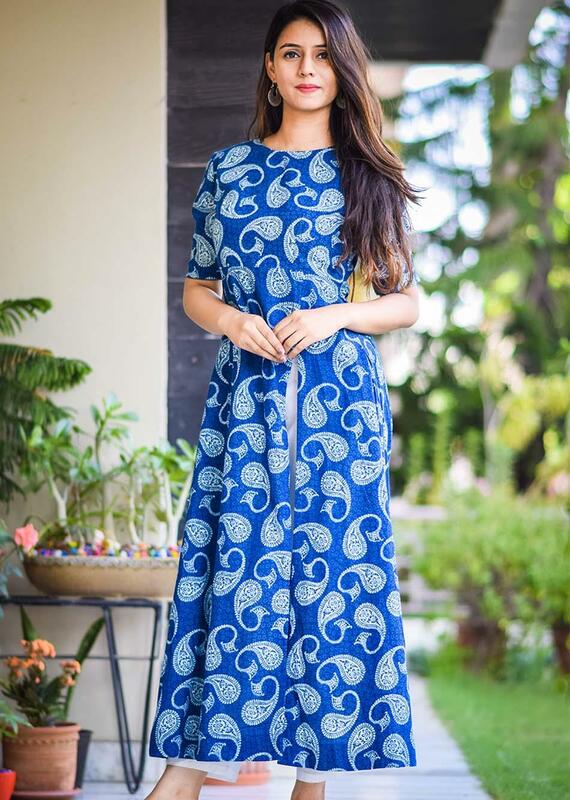 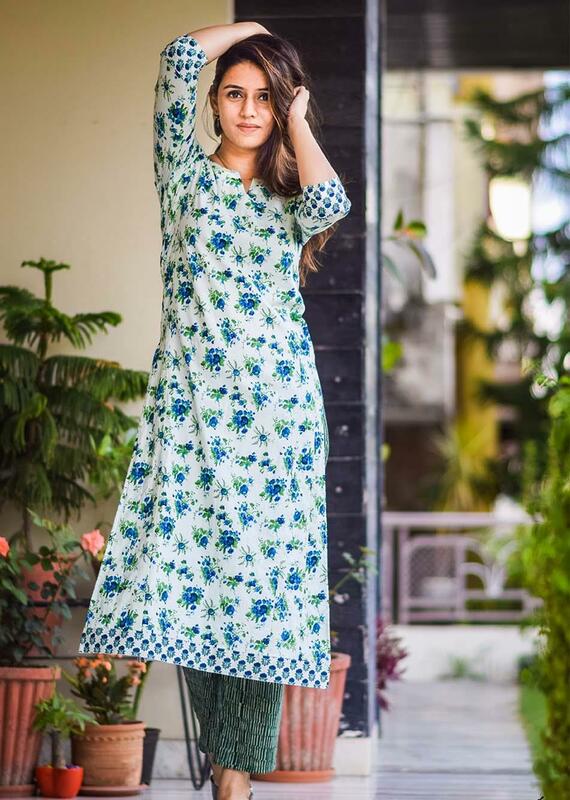 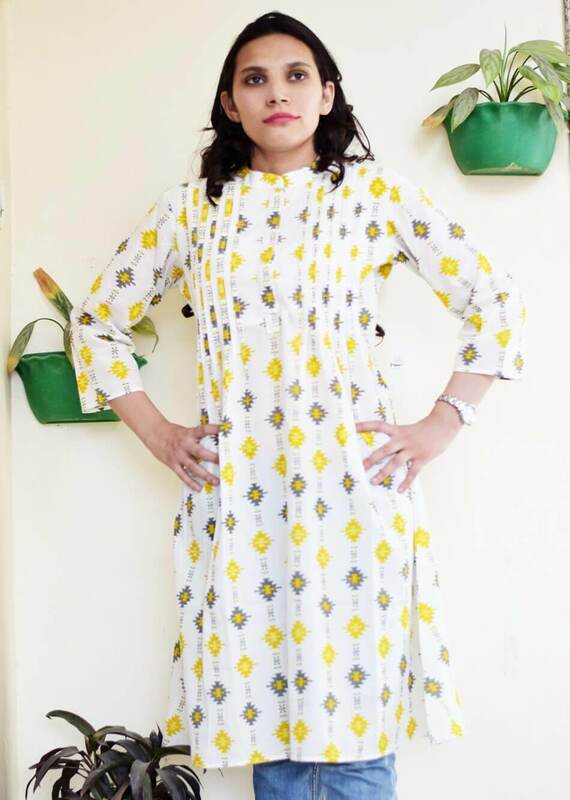 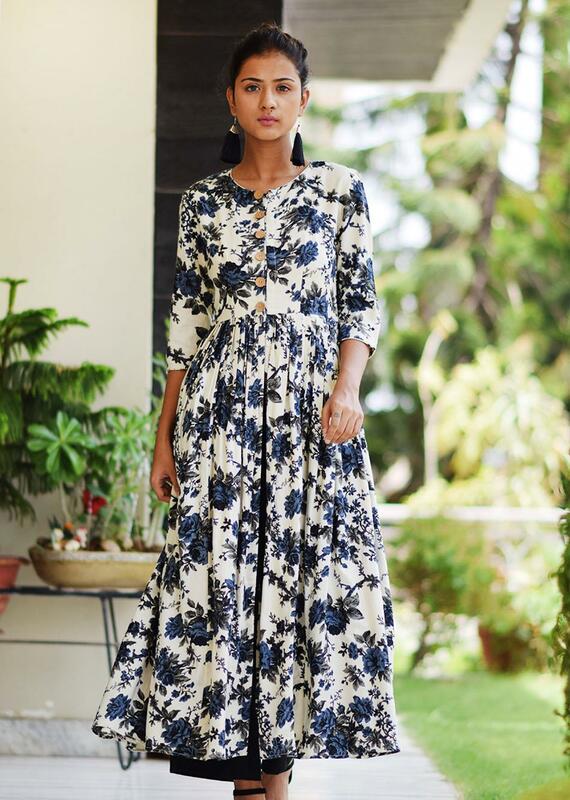 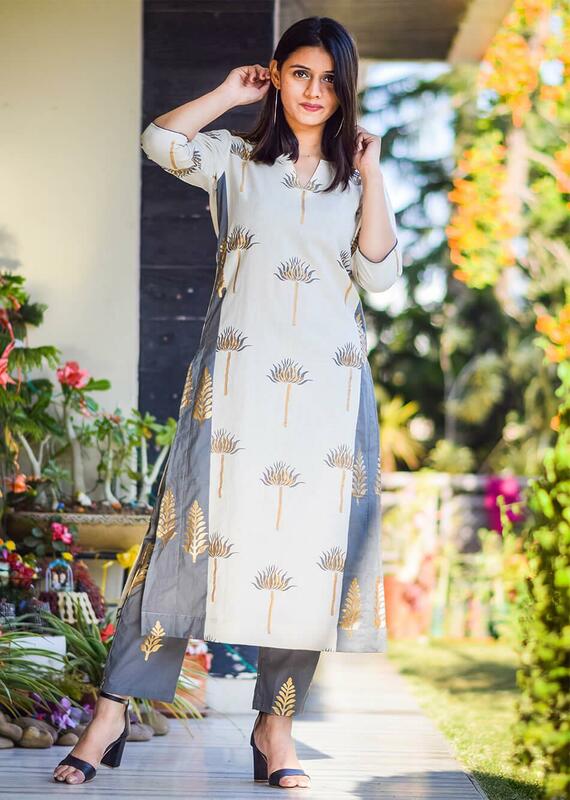 The kurta is flared with a round neck and sleeves till elbow, the palazzos are comfortable, and the dupatta is super elegant with a black border and yellow tassels. 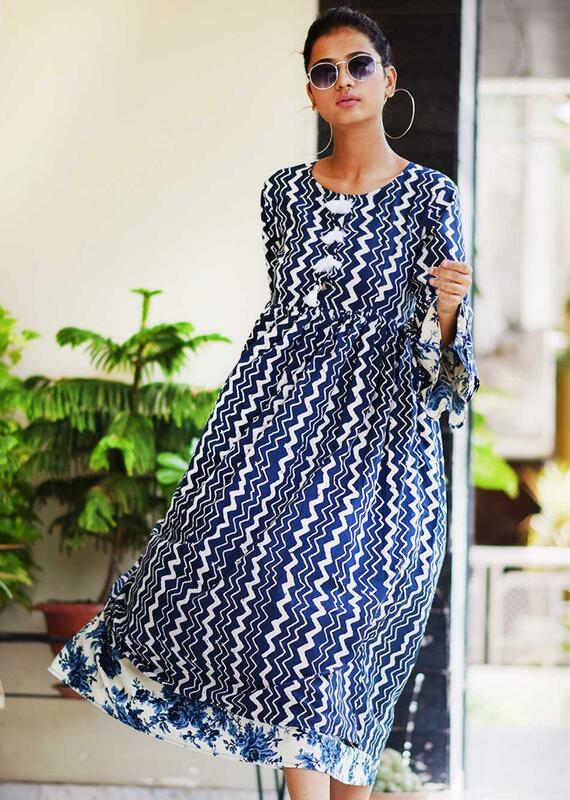 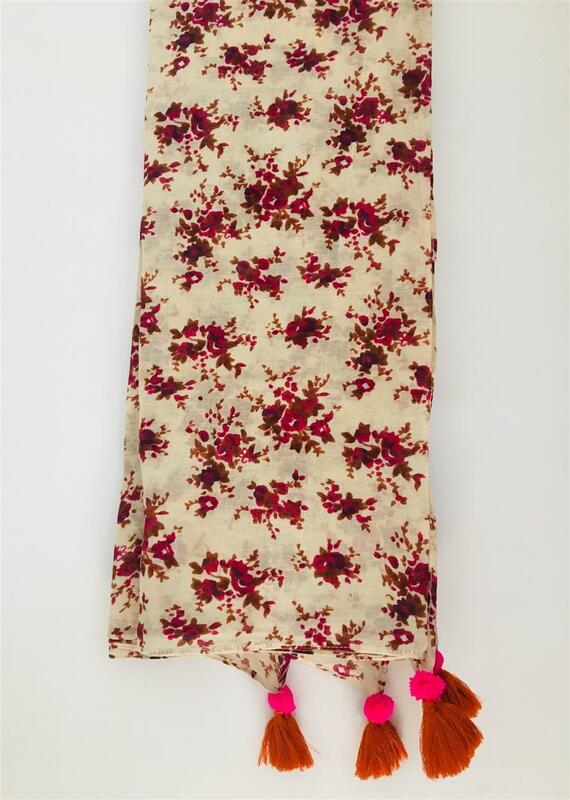 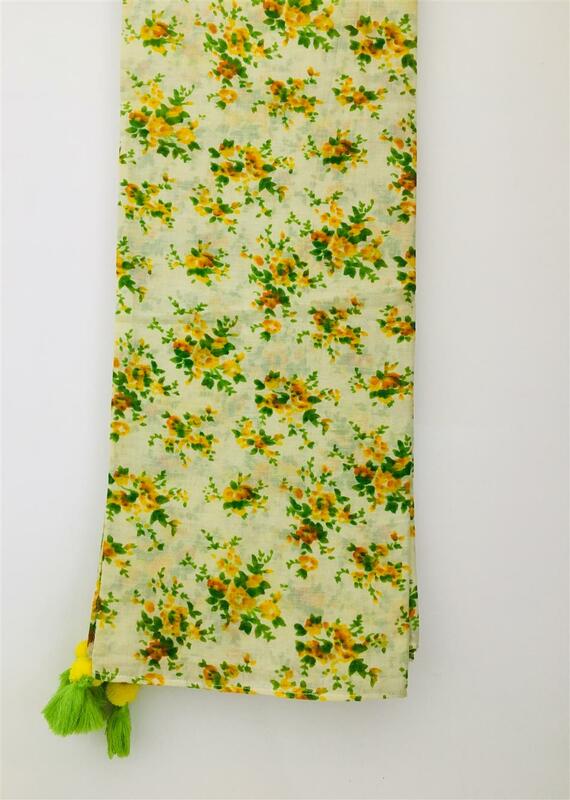 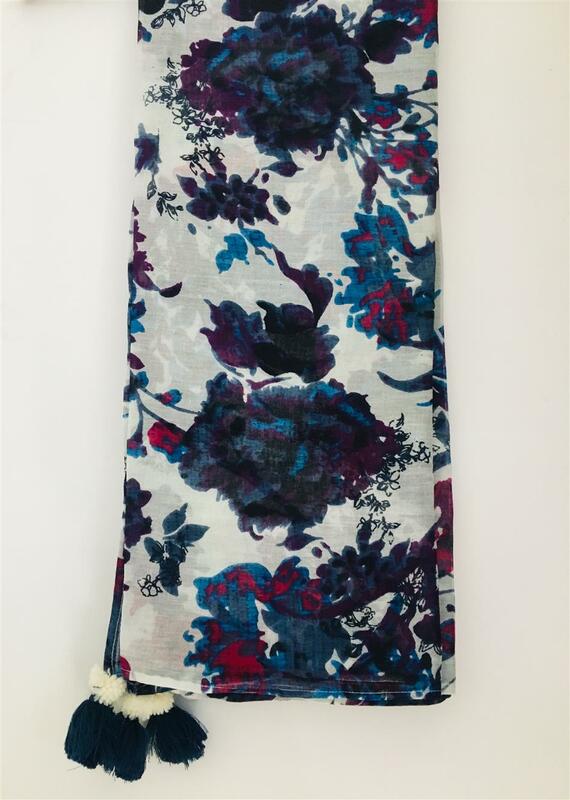 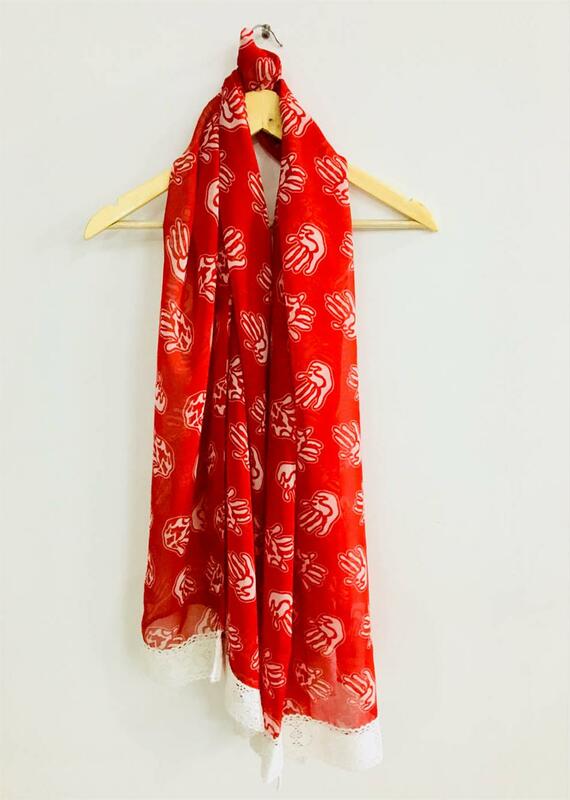 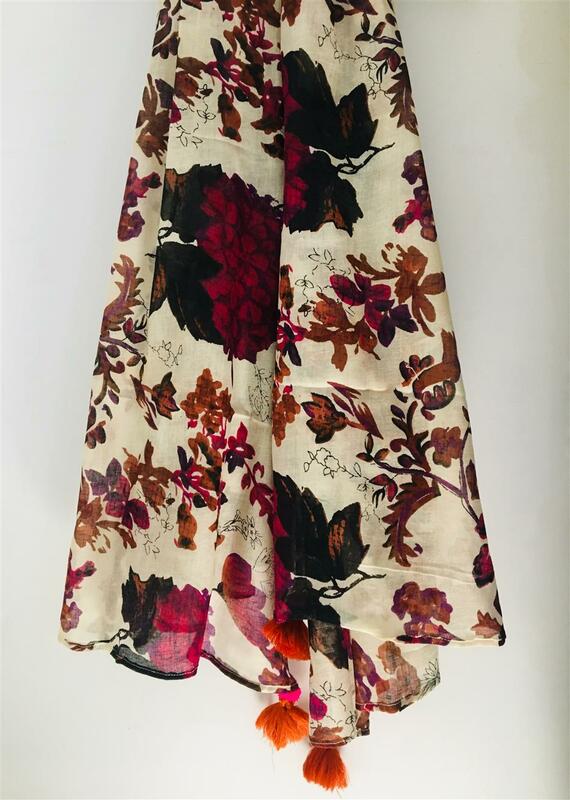 The entire set is made in rayon and cotton and is a "not to miss" creation.